Newborn development relies heavily on glucose (sugar) because it is the main source of fuel for the brain. Sometimes, levels of blood glucose in the newborn are lower than normal, which results in a condition called neonatal hypoglycemia. This condition is serious: if the brain does not receive adequate glucose during early development, the consequences can be tragic. The brain may not function properly when it does not receive the glucose it needs, and if this condition persists or becomes too severe, there can be significant brain damage or seizures. Neonatal hypoglycemia affects different babies in different ways. Some infants will display no obvious symptoms, while others will exhibit lethargy, apnea, a bluish hue to the skin, low body temperatures, jitters, and in severe cases, seizures. These symptoms are not specific to neonatal hypoglycemia and may be indicative of other conditions or complications. At the first notice of these symptoms, it’s important to contact a medical professional immediately. 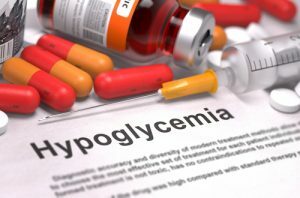 Prevention of neonatal hypoglycemia cannot be completely guaranteed, but it is the responsibility of your physician to detect and monitor the condition. Failure to do so can lead to prolonged neonatal hypoglycemia and brain damage. If you believe that your child has been the victim of negligent medical care related to neonatal hypoglycemia, please contact Thurswell Law today. Our team is experienced in birth injuries and will work tenaciously to provide you with justice. No parent should see his or her child suffer, especially if it was the result of malpractice. Please call Thurswell Law for a free consultation and to obtain the monetary compensation you deserve.